Kirst Konverter® offers a cartridge conversion cylinder for both the 1851 and the 1861 Colt Navy revolvers manufactured by Uberti or Pietta, which is a six shot cylinder. 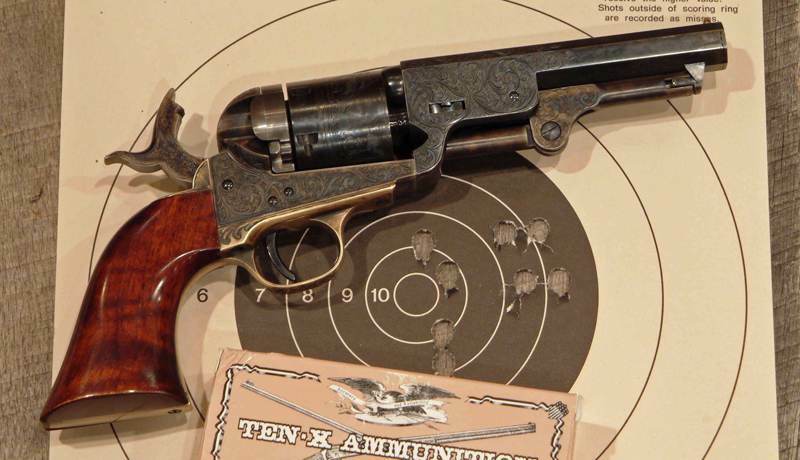 These Colt Navy Konverters are designed for the Shootist who wants to shoot a historic Old West cartridge like the .38 Long Colt or .38 Short Colt. 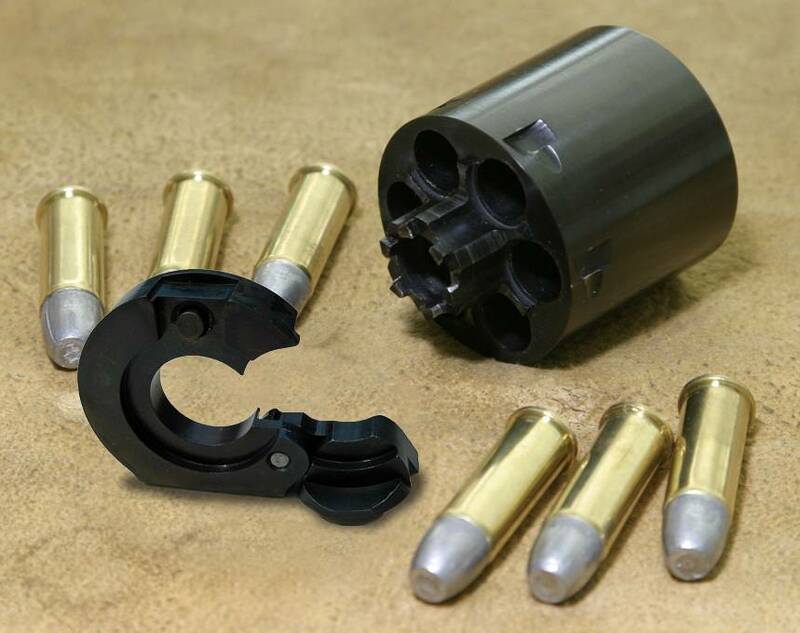 The Konverter can also shoot .38 Special Wadcutters, but NOT all standard .38 Special ammo, because the length of the cylinder is too short, so make sure the overall cartridge length does not exceed 1.42". The .38 Long Colt, .38 Short Colt and .38 Special Wadcutters work fine for most Cowboy Action Shoots. Ammo must be loaded with lead bullets and a low-pressure, powder charge not to exceed 1000 feet per second velocity. Simple, step-by-step instructions and a loading port template are included with each Kirst Cartridge Konverter for the 1851 & 1861 Colt Navy revolvers and at Colt Porting Instructions. Specific reproductions of the 1851 Colt Navy that are manufactured as a .44 caliber percussion revolver will accept the .45 Schofield/.45 Long Colt caliber, five shot Kirst Konverter®. The current Pietta reproduction 1851 Navy “Sheriff” and “Civilian” revolvers in .44 caliber accepts the same Kirst Konverter as the Pietta made 1860 Army revolver. Caution: Ammunition must be loaded with lead bullets and a low-pressure, powder charge not to exceed 1000 feet per second velocity. Do not use the Kirst Konverter® in revolvers with a brass frame (except for .22 caliber rimfire Konverters.) Be careful to never install a .44 or .45 caliber Kirst Konverter® in a revolver with a .36 caliber barrel. Simple, step-by-step instructions and a loading port template are included with each Kirst Cartridge Konverter® for the 1851 & 1861 Colt Navy revolvers.